Here’s my plan for my lunches this summer: Eat these every day. Protein…fresh veggies…tossed in Caesar dressing. It’s the perfect summer lunch! You can make this super quickly, if you “batch grill the chicken” and keep it in your fridge. Easy-peasy summer lunch! 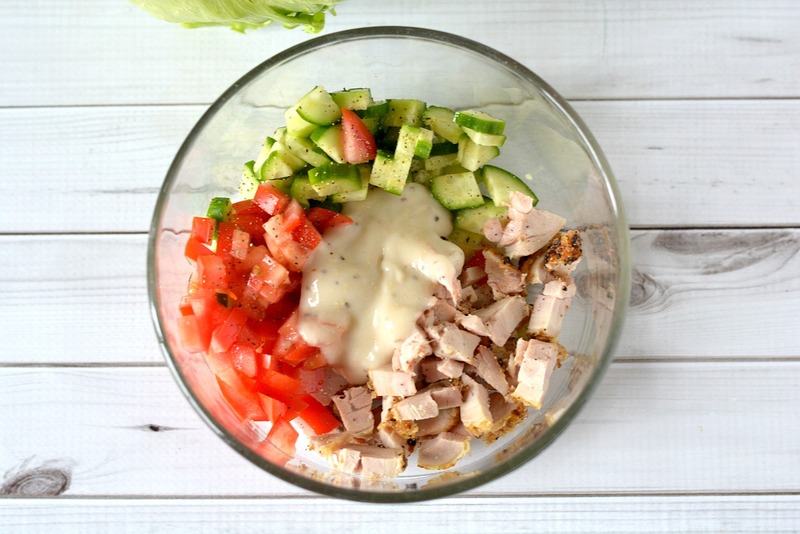 Combine diced tomatoes, quartered cucumbers, chopped onion, rotisserie chicken and salad dressing in a bowl. Mix well. Start with the least amount of salad dressing and see if you like the taste before adding more. Season with salt and pepper. 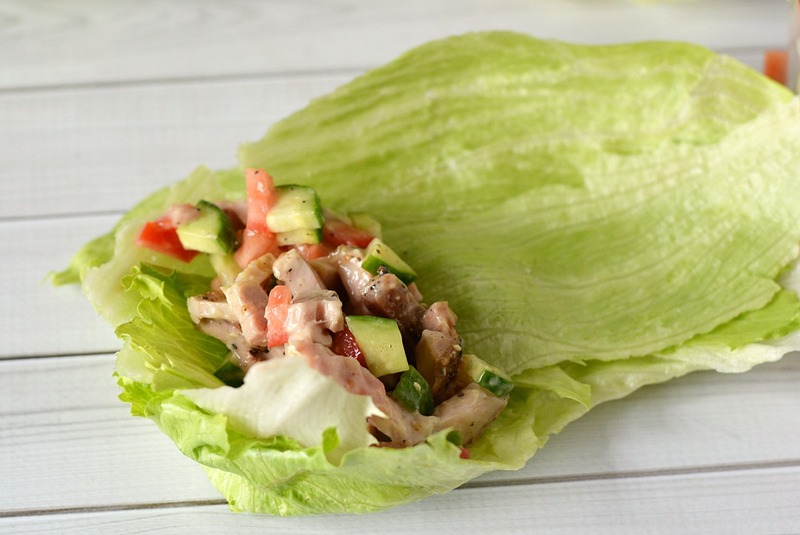 Wrap about 1/2 cup of the chicken mix around 3 stacked lettuce leaves. I like to make smaller wraps, and use three leaves. Wrap tightly. Serve Chicken Caesar Lettuce Wraps with fresh fruit. 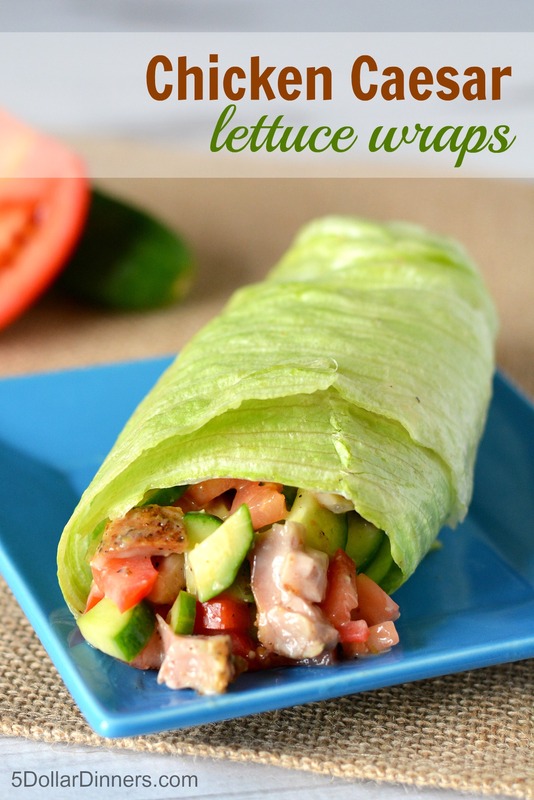 You can make the chicken salad ahead of time and place in wrap just before serving.